A & N Administration has appointed ANIIDCO as nodal agency for procurement and supply of steel materials to government departments in 1991. ANIIDCO is the largest supplier of Iron & Steel in the Islands with around 4000 MT of steel being procured and supplied in a year. 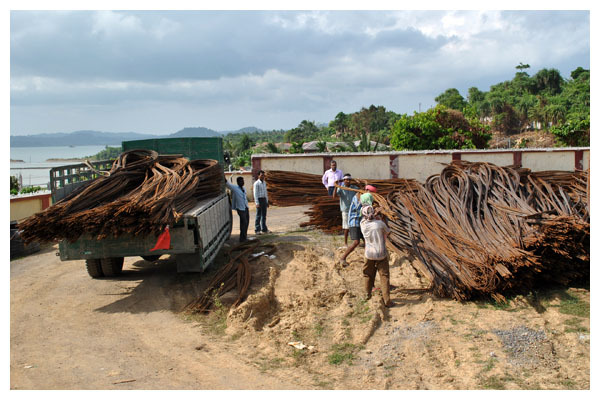 ANIIDCO also procures and supplies steel materials of sizes 08mm to 25mm. ANIIDCO procures and sells TMT BARS of Grade Fe-500 & HCRM (Fe-500 is standardized by BSI for earthquake resistance and HCRM is high corrosion resistant material). 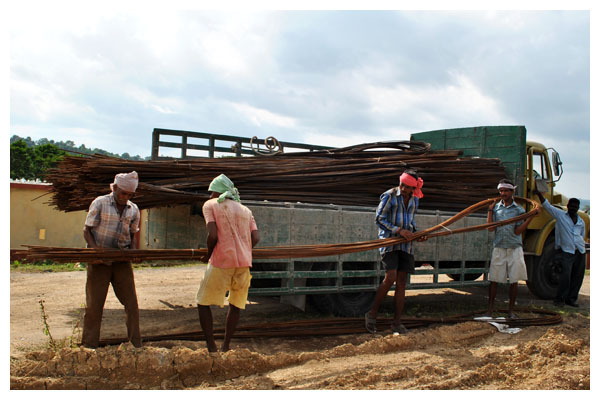 ANIIDCO supplies steel to small scale steel industries at landed cost without profit margin. ANIIDCO also supplies MS Plates, MS Channels & MS Angles as on required basis to the government departments & Private customers. ANIIDCO has a steel stockyard at Dollygunj, Port Blair having storage facility of 500 MT of Steel and 40 MT weighbridge. 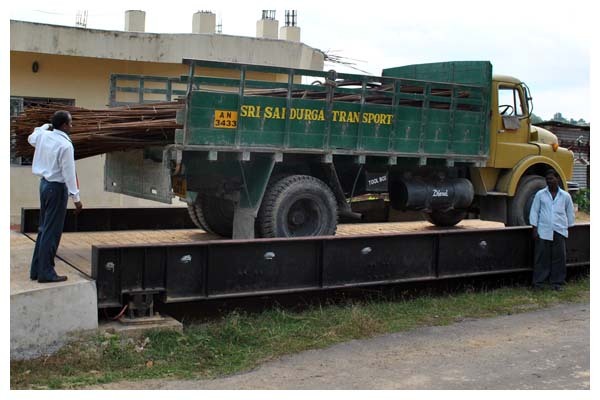 ANIIDCO is also functioning as a consignment agent of Steel Authority of India (SAIL) which is a primary producer who have set high standards in quality of steel all over India. 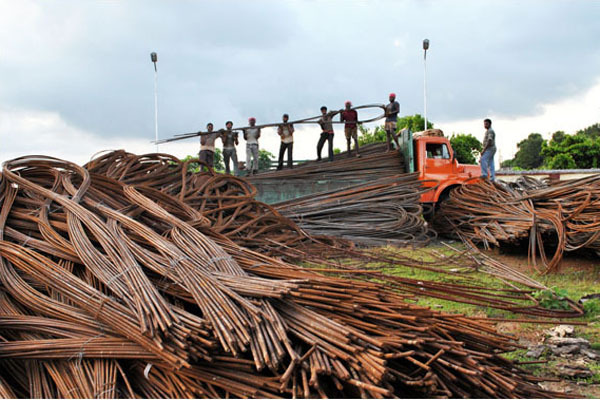 Most of the steel/steel bar supplier of A & N Islands procure steel from secondary producers i.e steel produced from scrap iron Steel/TMT bars as primary produce is better in quality than secondary produce. The registered contractors with the Govt. agency are eligible to avail the scheme for credit sales of Iron & Steel against bank guarantee. Contractors will have to submit Bank Guarantee (BG) within 05 days of Proforma invoice(Quotation) from any Nationalized Bank valid for a period of seven and half months based on assessment of the materials required for a period of six months and considering settlement of credit sales bills regularly . The price as per Proforma invoice is valid for the material available at stockyard only if BG is submitted within 5 working days from the date of Proforma invoice. Subsequent price will be based on material cost procured from SAIL and at the time of delivery. The credit period will be for 30 days from the date of invoice. The contractors should provide a Bank Guarantee which will be valid for seven and half months and sale will be made up to six months. For example, if the Bank guarantee is valid till 31st December, 2016, the last credit sale will be given by ANIIDCO to private contractors on 15th November, 2016. The BG to be submitted by contractor should be sent to ANIIDCO directly by the issuing bank under Registered Post (A.D). All BGs will be independently verified by ANIIDCO. Sales will be made only on confirmation of BG from Bank . ANIIDCO will issue the sales Invoice and allotment orders for collecting steel from steel stockyard, Dollygunj. The Bank Guarantee will be invoked if payment is not received before expiry of the credit period i.e. 30 days from the date of invoice. The credit against BG will a revolving credit. The credit period will be for 30 days from the date of invoice. Refer following example. If a contractor provides ANIIDCO bank guarantee on 15th May, 2016 of Rs. 100/- with validity till 31st December, 2016 then he will be able to purchase Iron and Steel for amount Rs. 90 at any point of time before 15th November, 2016. If he purchase Iron and Steel of amount Rs. 90 on 1st June, 2016 he will be again be eligible to purchase Iron and Steel of amount Rs. 90 on 1st of July, 2016 provided he settles the bill for purchase made on 1st June 2016 by 30.06.2016.